APTRON provide a great opportunity for students to relax and rejuvenate before the next semester begins. At the same time, summer vacations also offer a great opportunity for enthusiastic engineering students to experiment and learn new things. This is the time when students can focus on learning and experience the fun of engineering without having to worry about grades and exams. APTRON provide best 6 weeks summer internship training for Mechanical Engineering students in Delhi, Noida, Gurgaon, Gwalior, Lucknow, Jaipur. Such passionate engineering students can make use of our Summer Training 2019 for mechanical engineering students to make the best use of the time. Through these programs, students can explore various technologies and learn while having a lot of fun. The programs are designed to let the students think out of the box and develop several interesting engineering projects, making the whole experience fun and inculcating passion in engineering. They are designed to allow students to apply their concepts in real life and experience engineering rather than to focus on marks. 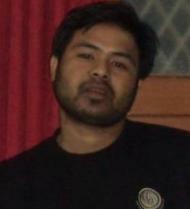 APTRON aggressively promotes it through job-oriented training programs. Our portfolio of Mechanical Engineering trainings is huge. We have a large pool of industry-certified trainers, who specialize in domains like CATIA, SolidWorks, CREO, Staad. Pro among others. We are best company to provide summer internship training to 2nd or 3rd year Mechanical engineering students. 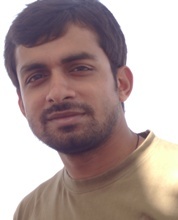 You can contact our team by call or email, students came from different part of india i.e. 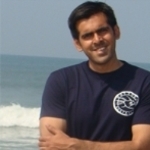 Mumbai, Delhi, Bengaluru, Hyderabad, Amaravati, Ahmedabad, Chennai, Kolkata, Surat, Pune, Jaipur, Lucknow, Kanpur, Nagpur, Visakhapatnam, Indore, Thane, Bhopal, Patna, Vadodara, Ghaziabad, Ludhiana, Coimbatore, Agra, Madurai, Nashik, Vijayawada, Faridabad, Meerut, Rajkot, Srinagar, Dhanbad, Amritsar, Allahabad, Ranchi, Gwalior, Jodhpur, Raipur, Kota, Guwahati, Assam, Chandigarh and many more to take part in APTRON Summer Internship Industrial Training. A large number of things around us in day-to-day life operate, making use of the mechanical engineering technology right from- small-scale printing nozzles, micro-sensors to machine tools and spacecraft. Mechanical Engineering is an area that involves the actions like: product development, manufacturing, maintenance, designing etc. In current world, practical skills hold the utmost importance in order to showcase one’s ability to work and handle the entire project and also their capability to solve the problems. The course curriculum does not necessarily involve provisions to develop such skills and this raised the importance of summer training for mechanical engineering students. So, the widespread usage of mechanical engineering technologies across the world clearly exhibits the importance of skilled mechanical engineering professionals in the industry and hence the large scale job opportunities available. So all the aspirants who are pursuing mechanical engineering should preferably go for the 6 weeks summer training that gives them the chance to use their theoretical concepts onto the live projects. This in turn infuses in them the practical skills and makes them a valuable asset for the employers helping them to acquire their dream jobs. Students get the enhanced knowledge of the core subject and become aware of the recent advancements in their field. Acquire the ability to start developing the working projects that makes it evident that you have substantial knowledge about the application of the subject. Summer training inculcates in you the ability of creative thinking and analytical skills. Trains you to ingrain the ability to work in inter-disciplinary team on the projects that involve multi-disciplinary tasks and skills. Makes you familiar with the industry standards and the working environment. Summer Internship Training in Noida for Mechanical Engineering Students from APTRON is the most efficient way to elevate one’s practical skills. The subject matter experts who are proficient in executing and managing the real-time projects conduct the summer training in Noida at APTRON. The training methodology has been structured so as to provide more of the practical efficiency to the students with an objective to deliver/ develop highly skilled professionals. The summer intership training in Noida for mechanical engineering students is designed and updated in coordination with the newest developments and the industry requirements. Along with the summer training in Noida, APTRON also offers 100% placement assistance to each of its student. This in turn makes it one of the most preferred choice and the best summer training institute for all the keen learners. The summer training in Noida for mechanical engineering students at APTRON is inclusive of 6 weeks summer training that matches up with the vacations, allowing the learners to make the best use of it to enhance skills and improve their future career prospects. It has been a great experience with APTRON while I pursued the summer training for mechanical engineering students from here. The trainers are good and well experienced in the field. The information provided during the internship training for mechanical engineering students is very reliable and is quite beneficial to the students. 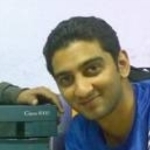 I headed forward with their Solidworks 6 weeks summer training and I had a very nice experience. The instructors were very punctual and the training therefore was conducted timely. 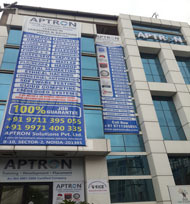 At first I was looking for the best internship in Delhi for mechanical engineering students and then I came across APTRON though it is located in Noida but being right near the Noida sector 15 metro station, location was never a problem. 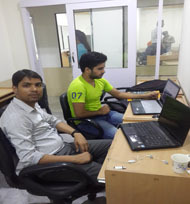 After going through their Site: aptronnoida.in I found them really good and then met the counselors there and I was really impressed so I enrolled myself with APTRON’s summer training for mechanical engineering students in Noida. The team is really awesome and their services simply incomparable. If you are thinking of summer training go with APTRON, as it is the best mechanical engineering training center! Thank you APTRON for the support! 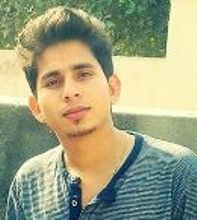 Hi, I got associated with the institute while I enrolled myself for APTRON’s summer training for mechanical engineering students in Noida. I opted for AUTOCAD Mechanical 6 weeks summer training with them. The instructor led training for 6 weeks with live projects really helped me clear my concepts and gain deeper insights about the course. Experienced and knowledgeable trainer s, mock tests with completion of each module and the doubts being readily heard and cleared and more make APTRON the best institute in providing internship in Noida for mechanical engineering students. 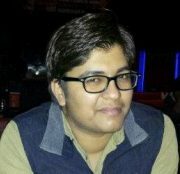 Being a Delhi based resident I first searched institute that provides Summer training for mechanical engineering students in Delhi but when I came to know about APTRON and saw their training method, facilities and the trainer’s profile I got impressed and was compelled to go choose APTRON for my mechanical internship in Noida. Investing here was really worth for I had a wonderful experience with them. Thank you APTRON for making me a self-sufficient individual. All those planning for the mechanical internship just go with APTRON for it is the best choice among the mechanical engineering training centers in Noida. Superb! I would give them five stars because they deserve it. 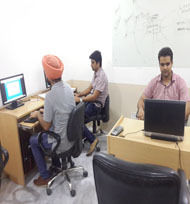 APTRON is best in providing summer training for mechanical engineering students in Noida. 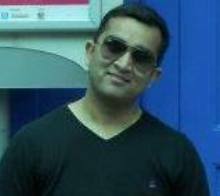 I am very satisfied with the study material, facilities, trainers, the classes, teaching method and everything out there. They are simply outstanding as in addition to all this they also assist the students in placement and all this simultaneously makes APTRON the best institute in offering Internship training for mechanical engineering students. I would like to recommend the students to enroll with APTRON for their mechanical internship in Noida because the summer training here is conceptualized by being student centric in the learning aspect. Being based on the live projects the summer training here makes the students proficient in applying the concepts in real-time situations. The trainers here are very supportive and have helped me throughout the training process. 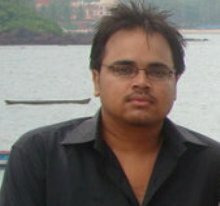 The APTRON fees of summer training for mechanical engineering students are reasonable and so I could easily afford it. It is really the best option for all the learning aspirants! They are highly professional at their service. At APTRON the mechanical internship in Noida was awesome, got opportunity to explore various applications accompanied by the practical assignments on real-time projects. The theory classes and the practical were perfectly balanced. The Internship training for mechanical engineering students at APTRON is the best and is worth every penny because here you will get to learn from highly skilled and experienced trainers. As per my experience in their Primavera 6 weeks summer training I can proudly state that APTRON is the best Mechanical engineering training center in Noida. The course content and structure, trainers and the support team all are very organized and humble too. This is the best summer training institute I have come across so far. 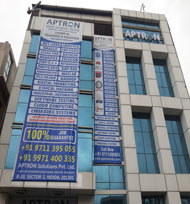 I will definitely recommend APTRON for Internship in Delhi for mechanical engineering students. My trainers were very humble and though they had a hectic schedule still they gave time and listened to our doubts and cleared them on time. I am really thankful to APTRON and the trainers here. I would like to thank APTRON for maintaining their transparency in providing services and also the dedication they have been showing. Definitely I am sure that this keeps them up with being the best institute in summer training for mechanical engineering students in Noida. In anyway if you are looking forward for mechanical internship in Delhi/Noida then APTRON Noida is the best choice for this. 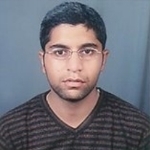 Soon after I joined APTRON for its CATIA 6 weeks summer training what I did is I just followed whatever the trainers taught and revised every thing every day in-fact I performed the practical also in alone to check myself because APTRON provides 24x7 lab access to all the students. Their study material was also very useful to me. To talk of the institutes providing summer Internship for mechanical engineering students in Noida/Delhi APTRON is simply the best! I strongly recommend it to the students. 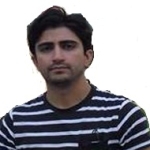 I joined APTRON with objective to learn professional skills in order to get placed as I had already faced a lot of failure during the interviews. Finally I decided to go for APTRON’s internship training for mechanical engineering students in Noida and my experience with APTRON was really good. 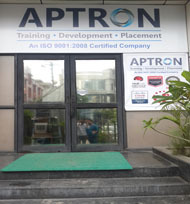 I opted for APTRON’S Summer training for mechanical engineering students in Noida. The trainers here were really good and explained the concepts well right from the basics for better understanding. 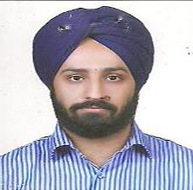 The teaching and the management staff helped to any extent for resolving the doubts I had during my mechanical internship in Noida at APTRON. The training was majorly practical based and I also got the opportunity to work on real-time projects and also we were given optimal exposure to understand the working environment of the industry. All these really compel me to say that APTRON is really the best Mechanical Engineering Training Center. APTRON is the best training institute for Mechanical internship in Noida for all the 1st year/2nd year/3rd year/4th year mechanical engineering students. The best part of the institute is that they provide placement to each and every student here. I joined APTRON’s summer training for 4th year mechanical engineering students in Noida and after the completion of the summer training I finally got placed through the placement drive conducted by the institute. The best thing I found here was the management that made everything run smoothly and trainers of-course were good. They made the concepts very clear and were always ready to help in case of any confusion or doubts. After attending the training sessions here, I can proudly say that APTRON is the best mechanical engineering training center. I really loved the place and enjoyed the teaching with thorough learning. 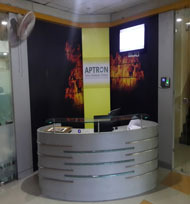 I would surely recommend APTRON for its Internship in Noida for mechanical engineering students. I did my summer training for mechanical engineering students in Noida from APTRON and the sessions here really turned out to be helpful. 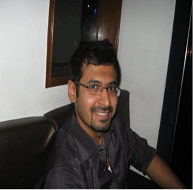 Joining APTRON for Mechanical internship in Noida was one of the best decisions I have ever made. They provide placement assistance also. Interactive sessions and the questions raised helped us to learn about the minute concepts too and also the institute took care of the student’s individual development so as to face interviews easily. The trainers helped us understand the topics clearly and also readily took our doubts and solved them quickly. APTRON’s internship training for mechanical engineering students in Noida is really the best one as it is practical oriented and the trainers here are the best ones. Despite their hectic schedule the trainers found time to answer all our doubts and never got irritated instead they were humble and helped us throughout. I would strongly recommend APTRON’s internship training for mechanical engineering students in Noida, as it is simply the best. Hi everyone, it is an utmost pleasure for me to write here that APTRON is the best mechanical engineering training center. They conduct regular drives and the teaching is excellent here. Internship training for mechanical engineering students here at APTRON is practical based and it gave me opportunity to learn the practical implementation of the concepts learned. The trainers here are very good, have substantial knowledge of the subject and encourage interaction in the classroom that makes the students learn a lot. 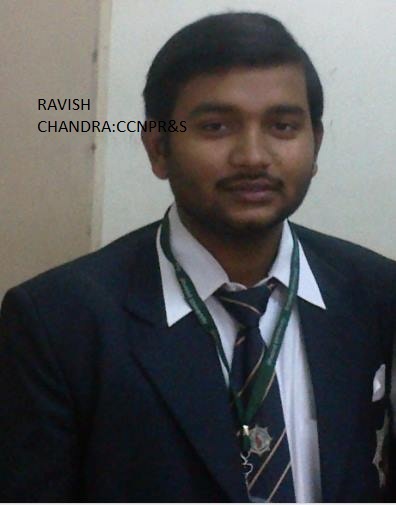 They have good connection with the MNCs and conduct placement drives for the students to get the job. The entire summer training for mechanical engineering students in Noida is practical based so that the students learn the working skills, as it is the need of the hour. 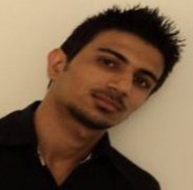 It was my best decision to join APTRON’s internship for mechanical engineering students. I have learned a lot here and I am really satisfied by the teaching here. I would strongly recommend the aspirants to go for APTRON’s summer internship training for mechanical engineering students. 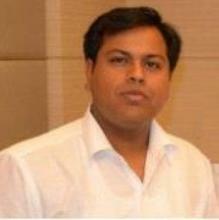 Hi, I joined APTRON for its SP3D 6 weeks summer training in Noida at APTRON and it was and outstanding experience. I was looking for the best institute that provides internship in Delhi for mechanical engineering students and I came across APTRON Noida and I visited their site: aptronnoida.in and decided to go there. 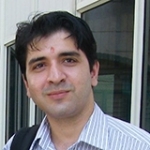 I met the member of the support team and was clearly told about the course content, duration, fees, learning methods etc. This really impressed me and I joined APTRON’s summer training for mechanical engineering students in Noida. It was really worth for I have learned a lot here and the institute’s trainers as well as the staff work tirelessly to give their best. During my mechanical internship in Noida the trainers guided me throughout and for this I am really thankful to the institute as well as the trainers. 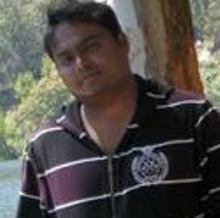 The mechanical internship in Delhi at APTRON also helped me to complete my project. I really can’t thank enough to the institute and trainers for what they have given me. I wish all the very best to the team and would recommend it to all the aspirants.